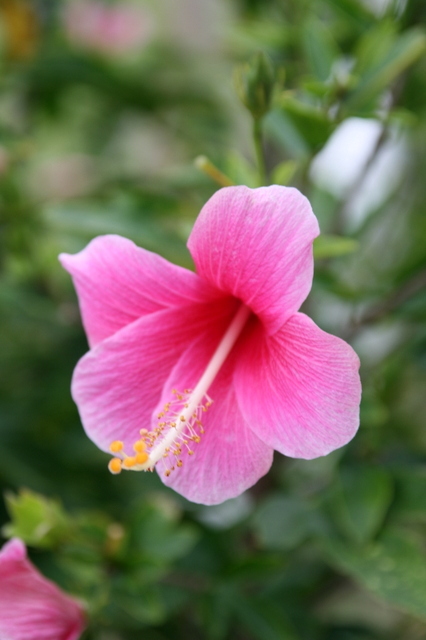 "Haisai" is the Okinawan way of saying "Hello" - they have a dialect that is different from Japanese. Okinawa is both exotic and familiar at the same time. Because of the Chinese influence, I found certain aspects very recognisable (like the guardian lion statues, traditional architecture and large familial tombs), but it is mixed with so many other cultural influences (Japanese, Korean, American, and even Latin/South American from Okinawan emigrants there who returned). But before I go into my tour of Okinawa, here's a quick ten-fact introduction to the islands. 2. The weather here is balmy and mild, ranging from 16 degrees C (in winter) to 28 degrees C (in summer). It also gets quite a bit of rainfall (2300mm) per year. You'll see rain about 125 days in a year. 3. Okinawa was once an independent nation called the Ryukyu 琉球 Kingdom from the 15th to 19th century, with close trading and cultural ties with China, Japan, Korea and South-east Asia (including Malacca!). Actually the name Ryukyu appears as far back as 605 A.D. in ancient Chinese texts. 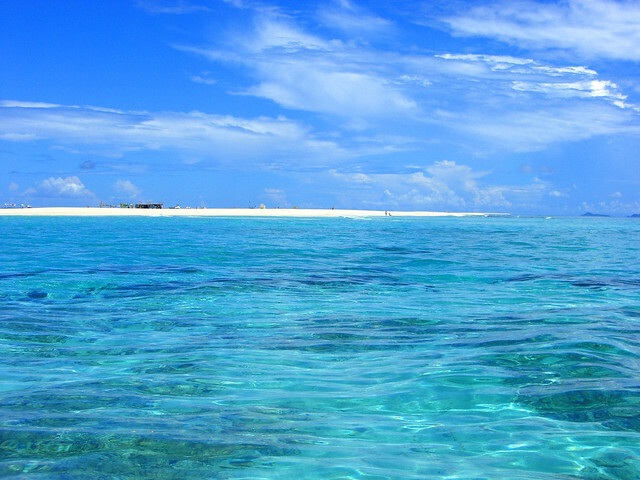 The term Ryukyu is still used today to refer to the islands. 4. It's the birthplace of karate! This martial arts form was developed when the Ryukyu king outlawed weapons and warriors. The inhabitants learned to fight with "empty hands" (which is what "karate" means). 5. Thanks to its rich history, there are many heritage sites, dating back to the 13th century. 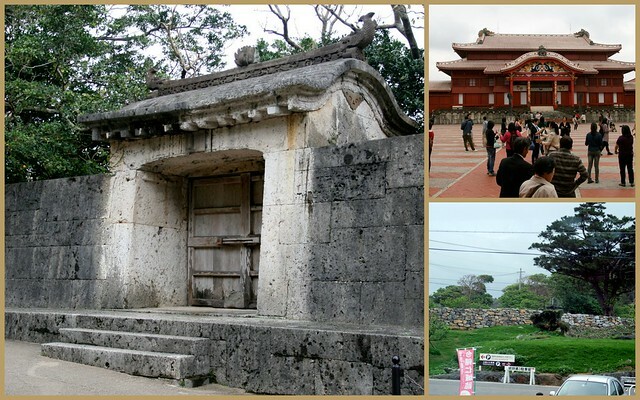 The main island of Okinawa alone has 9 UN World Heritage Sites. 6. Okinawa has the most long-lived people in the world, and the highest number of centenarians. No, these are not feeble folks but some of the healthiest, most active seniors you will ever see. Island living must be good there. 7. Many popular singers, artistes and groups are from Okinawa - High and Mighty Color, Mongol 800, Da Pump, Begin, Orange Range, etc. Did you know Gackt and Namie Amuro are Okinawans? Takeshi Kaneshiro is half-Okinawan and half-Taiwanese. Actress Meisa Kuroki (Space Battleship Yamato) who just broke many hearts by marrying Jin Akanishi, is also from Okinawa. Here is Gackt performing "Shima Uta" with Sadao China (知名定男) a famous﻿ Okinawan singer who plays the sanshin, a local three-stringed lute, purportedly the precursor of the shamisen. 8. Okinawan cuisine embodies the "nuchi gusui" philosophy - food as life's medicine. Traditional Okinawan food is low-calorie but nutrient-dense. Of course, I will be going into more detail later on their food, which very likely contributes to their longevity. 9. While it looks like cheerful paradise now, Okinawa has been through plenty of hardship. The bloodiest battle of the Pacific War took place here and more than 250,000 people died - more than the death toll in the atomic bombing of Hiroshima. So there are significant sites, museums and memorials if you are interested in the history of World War II. 10. It's pretty safe. There are usually no direct earthquakes or major tsunamis here, but Okinawa does get typhoons several times a year (mostly during July, August and September). Most of the people just retreat to the shopping malls when that happens, our guide tells us. Being so far south, Okinawa is also more than 1,100 miles away from Fukushima. I know a lot of people are still concerned about radiation woes in mainland Japan. Well, there should be no worries here. And like many places in Japan, it's quite safe in the streets too, even late at night. I had the good fortune to join the inaugural media trip to Okinawa jointly organised by CTC Travel, Okinawa Visitors and Convention Bureau, and Okinawa Tourist Service. It was a specially chartered flight as there are no direct flights from Singapore to Okinawa. 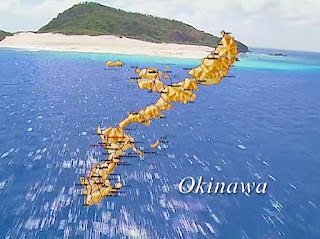 The chartered flight only takes four hours to Okinawa (as compared to Tokyo which is seven hours)! So Okinawa is not much farther than say, Shanghai. We landed in the capital Naha at night, and were very warmly greeted by the Okinawans. The Okinawa International Airport looks small, but their domestic terminal just 100m away is huge and one of the busiest in Japan (Okinawa is a top resort destination for mainland Japanese). I have much to show you from our five-day trip. Over the next few days, I will post more. 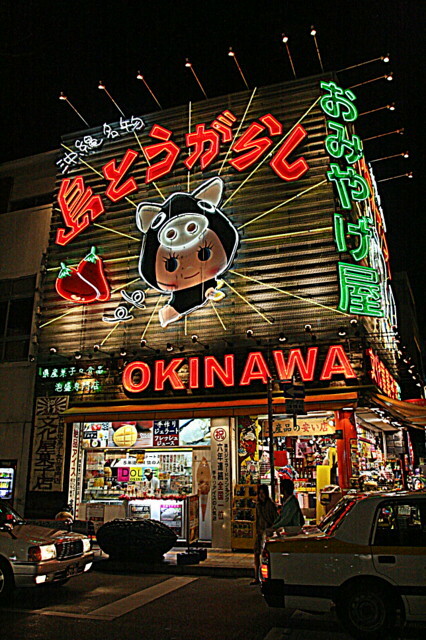 Meanwhile, you can also download the free Okinawa2Go iPhone app. You can read more about it here. I leave you with a famous Okinawan folk song, "Nada Sou Sou" sung here by Rimi Natsukawa - take a listen; I am sure you've heard covers of it. Sounds like you had a great trip. I'm looking forward to hear more :) Cheers! Yes, thanks! There's something about Okinawa that just makes you feel good. I fell in love with Okinawa when I stumbled upon a pic of Kurima Bridge that links to the gorgeous Miyako & Kurima Islands. That's when I saw more bridges in Okinawa and the crystal clear waters of the region. It's a dream of mine to scuba dive at Ikema & Irabu/Shimoji Islands! I must look up that movie with Tsumabuki. Actually I never knew the lyrics of Nada Sou Sou were so poignant. "Never-ending Tears" indeed.